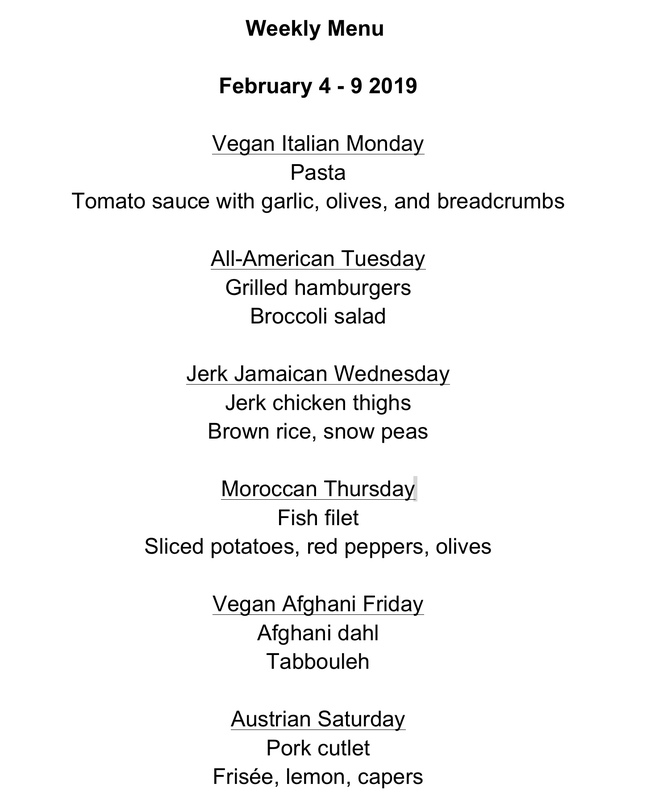 Due to the fact that it has been raining cats and dogs here for the past few days (this is extreme weather for Californians) and we have not been out to the grocery store, the menu has been revamped for the week starting today. This entry was posted in Weekly menu. Bookmark the permalink.